Complete solutions signed, sealed and delivered. When you need a finance solution to secure that next piece of equipment, you’ll find dealing with Fidelity Finance Group a breath of fresh air compared with the banks. You won’t be left waiting in queues, instead we’ll come to you to deliver the business finance solution you need. First, we’ll visit your place of business to better understand your operation. Our specialist brokers have extensive experience with the manufacturing sector and will take the time getting to grips with your company’s expertise, your particular trading conditions and the equipment you need. Perhaps you’re looking at purchasing new or used equipment, either locally or from overseas? Fidelity Finance Group can provide a solution. So whether you’re after Filling & Sealing equipment, a Labelling machine or a complete Packaging & Processing System, we make the task of finding the most suitable equipment finance solution a breeze. Wrapping up all your finance needs. Today more than ever you’re advised not to put all your eggs in the one basket. So Fidelity Finance Group sources funds from over 20 lenders, to can spread your business loans across several finance providers. So for instance, if your factory is with one financier, we may suggest your equipment is financed with another, which can keep your options open for the future. We can also look at machinery rental and machinery lease options structured to suit your business and optimise cash flow. With over $350 million in loans written annually, Fidelity Finance Group has the leverage to secure the business finance on competitive conditions, terms and rates. Whist we’re out getting the finance, you can get on with business. The Fidelity Finance Group advantage. We liaise with the supplier of your choice, order the invoice and prepare all the paperwork for your signature. Fidelity Finance Group can also arrange Import/Trade finance (i.e. a Letter of Credit) as a part of the long term finance as required. Fidelity Finance Group can also arrange 'pre-approved' amounts for future equipment acquisitions. 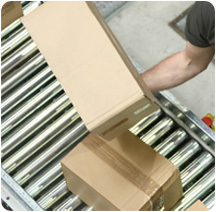 Complete a packaging equipment finance application now, without obligation, click here. Or phone +61 (2) 9212 0799 to talk with one of our equipment finance experts.